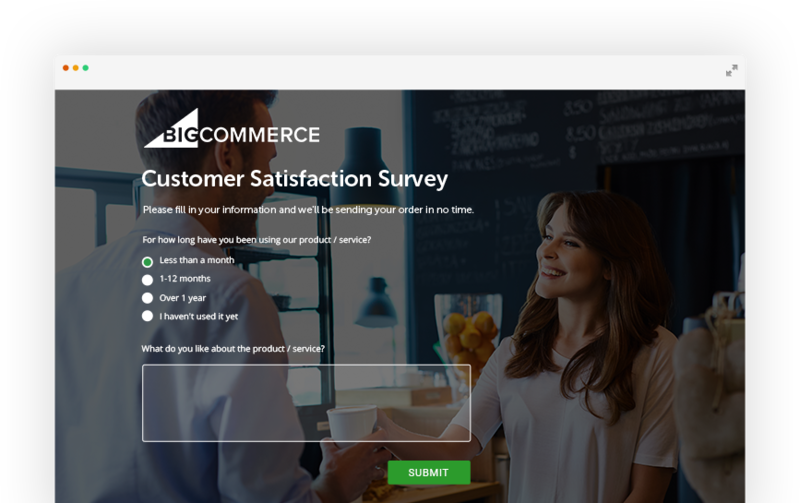 Have an online store created through BigCommerce? 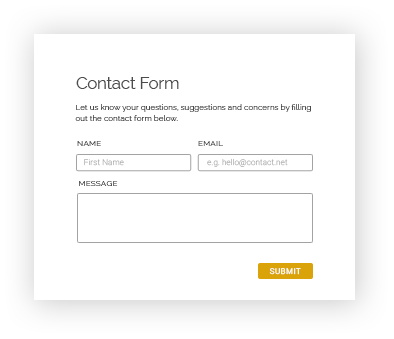 Create any type of powerful web forms to automate your customer interaction so you can focus more on selling and promoting your awesome products. By integrating 123FormBuilder into your store you can have order forms, contact forms, donation form and any other type of web form you need on your site within minutes to start collecting money and responses. Designed a pixel-perfect store for your shoppers? Just a few clicks and your web forms will adapt to your site’s theme, matching it’s look and feel perfectly. What’s more, mobile shoppers will be delighted by the fully mobile responsive forms, making a smooth experience even on the go! 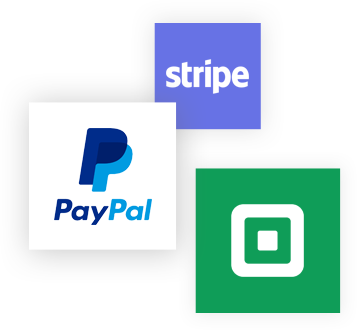 Collect order and process payment by integrating PayPal, Stripe, Square and many other payment processors and let your customers pay directly through your forms with ease. 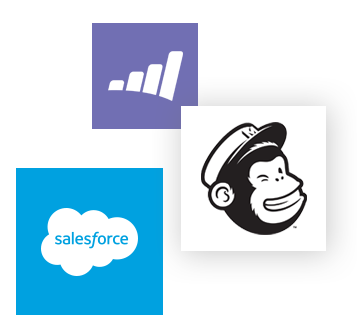 Extend your sales and marketing funnel even more and send data to other services you are using by integrating with Salesforce, MailChimp, Marketo and many more. The 123FormBuilder app works seamlessly with your BigCommerce store and other apps you might be using. With our open API you can create complex flows for your store to send collected data anywhere you want. Keep track of any order and create smooth buying experiences for your shoppers. Set up how orders are calculated, choose a preferred payment processor and customize confirmation messages sent. Giving out discounts to your shoppers? Add discount code fields to your forms and pair them up with custom calculations to create successful marketing campaigns and boost sales. Visitors not ready to buy yet? Ask them for their contact email so you can engage and delight them later through emails by integrating with MailChimp, ConstantContact, Salesforce, Zoho and more and have them become customers in no time.